NEW PureMoist Lipcolour Cindy – a classic red with all our signature nourishing ingredients such as moringa oil and sunflower seed oil. Lip Pencil Crimson – the perfect red lip liner to create a defined and precise finish. PurePressed Blusher Sheer Honey – a neutral matte terracotta colour great on all skin tones. NEW PureMoist Lipcolour Cindy - Jane Iredale PureMoist LipColour is a creamy and rich lipstick which gives intense colour. You can opt for a shimmery or a matte shade. This lipstick is Gluten free and offers a range of lip care benefits with antioxidant, healing and the added bonus of SPF18 to add to your lip protection. The best way to protect your lips while showing them off! Lip Pencil Crimson - Jane Iredale Lip Definer adds soft definition to your lips for colour which endures or as a perfect base for your lip colour. As usual the Jane iredale products provide conditioning and purely natural ingredients with no FD&C dyes, which means these lip pencils can actually be used anywhere on the face! PurePressed Blusher Sheer Honey - Jane Iredale PurePressed Blush is packed with natural mineral ingredients and free of chemical dyes and potentially irritating ingredients. Blush away with confidence with a beautiful choice of shades to complete your natural makeup look. *Please click on any of the above headers and you will be taken direct to a full description product page. 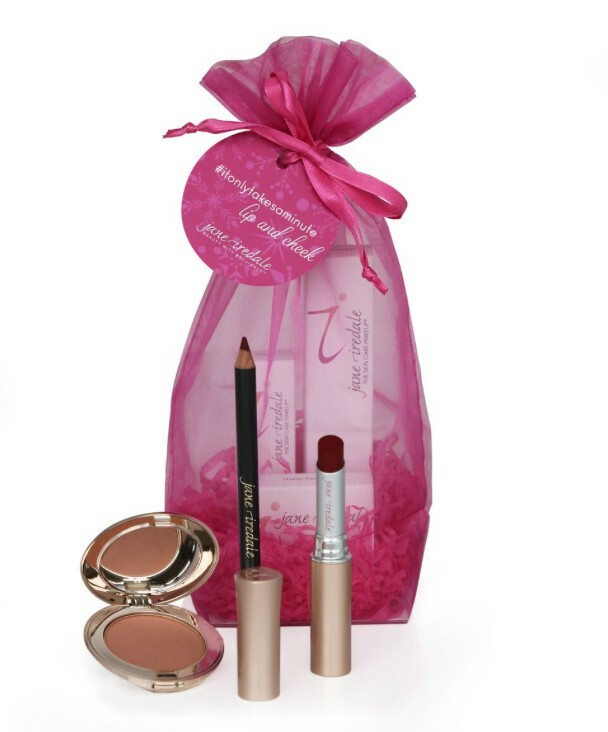 Jane Iredale Lip Pencil - Ingredients: Hydrogenated Jojoba Oil, Caprylic/Capric Triglyceride, Silica, Meadowfoam Seed Oil, Mango Seed Oil, Candelilla Wax, Shea Butter, Macadamia Ternifolia Seed Oil, Carnauba Wax, Tocopherol, Ascorbyl Palmitate. May Contain: Iron Oxides, Titanium Dioxide, Manganese Violet, Mica, Carmine. Jane Iredale PurePressed Blush - Ingredients: Mica, Boron Nitride, Dimethicone, Pine Bark Extract, Pomegranate Extract. May Contain: Titanium Dioxide, Iron Oxides, Carmine, Manganese Violet, Ultramarines.